One undercover driving instructor. Three learner drivers. Three enthusiastic parents. What could go wrong? A steady, practised hand, your decades of driving experience make you among the safest motorists on the road. A master of the tarmac, you could certainly teach a thing or two to younger drivers. On reflection, perhaps you have forgotten some of the basics since you passed your driving test all those years ago, and replaced them with some bad habits. You might be lazy about signalling, comfortable cruising at 80mph on the motorway, and don’t always check your mirrors like you should. Worse still, you could be passing on some of these bad driving habits to your children, either when they learn to drive or when they’re simply watching you from the back seat. We wanted to put this the test. So we sent out three experienced drivers – Nigel, Jo, and Ali – onto the streets of Cardiff, alongside their learner driver children. 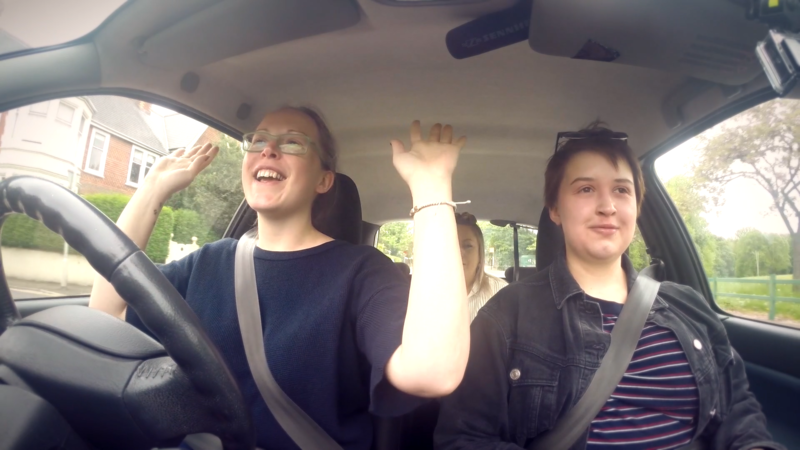 What they didn’t realise was that the person sat in the back of the car with them was not a member of the production crew, but in fact qualified driving instructor Nicole Fox. She was scrutinising their driving advice and road savvy, as much as their kids’ skills behind the wheel. Find some helpful tips to pass to your children once they pass their test. Are you ready for the new MOT test?